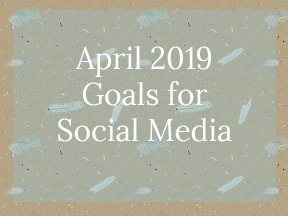 I want to increase my goals on my social media accounts. It is almost every blogger and vlogger’s dreams. The truth is goals are something I rarely share with my readers. The reason is quite simple, really (in my broken British accent, which is slightly Americanized). Note: Ah, the things that go on inside one’s head, LOL. 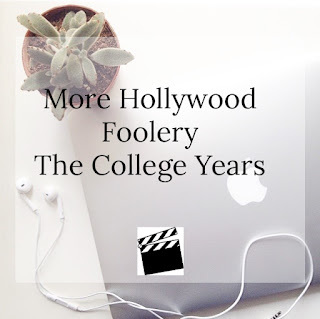 I have been blogging for ten glorious but trying years. I slowed down in 2015 but now I am picking back up. I now want to make money from blogging. For the sake of my family, I have to make money from this. I was thinking about this a few years ago when I refused to play into the hype of disclosing how much money bloggers made in a month/year since becoming bloggers. Lesson learned, and while I would never disclose my complete income, which is no one’s business but mine and my CPA when she does my taxes (just got them back today), I felt that I might offer a little inspiration on what programs I used in order to get to that point, where I can brag talk about it. Someone may be struggling in that area. So, without further ado, here are my goals for this month. As you will see, I have listed the current total of viewers who follow me and what I want to increase the number by. On the toolbar (it says Instagram, search, a little compass symbol, etc..) right click with your mouse button. Right next to Icon with the screen and arrow, you will see an icon with a big screen/little screen. Click on it. What this does is toggle it between from a full screen to looking similar to your phone screen. It should have the plus sign (+) on it so you can add photos from your internal drive. Keep the dialog box open while doing this. I closed mine out, and now, either Instagram figured out what I was doing, or I have to watch the video I got it from again. What do I place on my account: So far, family and project pictures I am currently engaged into. Goal: 500 no matter what they follow. I am not so worried about my Facebook account. It is nice and comfy, and almost just right, BUT, if I want Amazon or any other sponsor to look my way for an influencer’s account, that amount needs to be higher, much higher. I do not have any tricks or tips on Facebook except, let go of the drama, mama. Whatever is going on in your home/work/school/church, needs to stay there. It used to be a time when the only time a person posted as to when something bad is happening in your location. People thrived on drama. They still do. Do not contribute to it. I am also confused by what Facebook considers friends vs. followers. If you look at followers along, not too many people are following me, but when you factor in my friends and people who follow my business pages, I have a lot more than needed. So my question that I need to find out is, “What are potential sponsors looking at, and what do I need to concentrate on. More research needs to be conducted before I can give you the answer. If you created your account to promote your business (and by all means, please do), note that Facebook does not take too kindly on the likes of too much promotion, or you may find yourself in Facebook jail. Yes, that is a real term. What do I place on my account: I post on each of my pages the current post from each blog, except P. Lynne Designs. For that page, I post on how I am coming with the website. Once I am finished with that, I will do the same for each blog. By the way, each blog has a new domain name, but I will not reveal until it is time to launch it. My Twitter is in the same boat as my Facebook account. I can always use some work on it. The truth of the matter is whenever I post to Facebook or I post to Twitter, the opposite get the post as well. I set it up like that when I first got both accounts, even though they are not owned by the same company. I wish it was like that for Facebook and Instagram. I can post something from Instagram to Facebook, but I cannot post from Facebook to Instagram, and they are from the same company. I treat my Twitter account like my Facebook account with a little more caution: I still think in 140 characters. I write the most important stuff on the post and cut out the fluff. I was glad when Twitter stopped counting the URL as part of the post. It makes posting better and faster. Here is another tip: not too many Millennials have a Twitter or Facebook account. So, if you want to reach them, Try Instagram. The goal here is different. Why? Because as you see by the numbers, it is lower than Instagram. I am not on LinkedIn as much as I should. LinkedIn is more of a business network social media platform than the others. When it first started, it was made for business-minded people. You are not going to get your friends and relatives to subscribe to LinkedIn because that is not where the gossip is at unless you like hearing about Amazon and Apple’s business practices. So, if you are looking to network with LinkedIn, keep in mind that you are dealing with business people. Even though all 3 have different audiences, I lumped them together, just because they are all blogs, and they belong to me. All the goals are the same. I am having problems with consistency at the moment, which I am having the same problem with my YouTube channel. More on that when I get to it. When you have blogs, it is important that you tell your audience when they expect to have a new post. This usually comes in the form of a newsletter. So now you are asking yourself, “Why is she telling me this when she has a hard time keeping up with consistency?” Consistency with blogging is different than consistency with having a YouTube or Venmo Channel, but they are one and the same. Both blogging and vlogging take up the same time which involves planning, editing, and publishing. What do I publish: For P. Lynne Designs, it is about my handmade products, reviews, and tutorials. Every once in a while, it is about my experiences as a crafter and freelance person. At Home with Tricia's Baskets, it is about family, home life, and travel. Sometimes it is about organizing your home, places to visit, reviews on those same places and products. Lastly, for My Ambiance Life, It is about writing, working from home, journaling, learning how to blog, and social media. I have been vlogging for about 7 years. At first, I did not care if a video went up or not. That was not my goal. Then, I started seeing what video could do for your business, and I was hooked. I think it was a family vlog I was watching, and I was thinking to myself, “hey if they can stay consistent, so can I.” OK, different lifestyles different goals, but it does work if you let it. I must admit that I have 2 videos waiting for me to edit and publish. Editing is not hard, but it is time-consuming. You have to listen to what your tone should be towards your audience, cut out the crap, separate the audio, add music, upload to YouTube (or Venmo), edit some more, including adding the description, and you are done. One tip I do need to add when editing: find yourself a good editing software. Be willing to pay for it. For a couple of years, I wanted the editing software that was sweeping the nation, but it is only for the Mac. I cannot think of it at the moment. Someone told me there was a Windows version of the software, but the site only pointed to my software that had some features as the version for the Mac. I tried Premiere Pro, Photoshop, and a couple of software that were not to my liking. Yes, in a pinch, you can edit videos in Adobe Photoshop and Lightroom, programs I already had on my computer. I also had Windows Movie Maker, which also sucked. I tried Filmore9 (not Sponsored) and loved it, but when I uploaded my first video using the software, it put this big ad in the middle of my face and covered my mouth so if a deaf person were to listen to my video, they could not. I want to make my videos friendly to all. Yes, they could CC on the video, but If they do not have to, it should come to that. So, now, I paid an annual fee of $39 to remove the ad from my videos, and I am happier now, then when I was editing my videos with WMM. I still get the same features as before, so for now, I am sticking to the software. So, these are my goals for April. I do have affiliates, which I did not mention in this post, but maybe I will mention in my next blog post for next Friday. 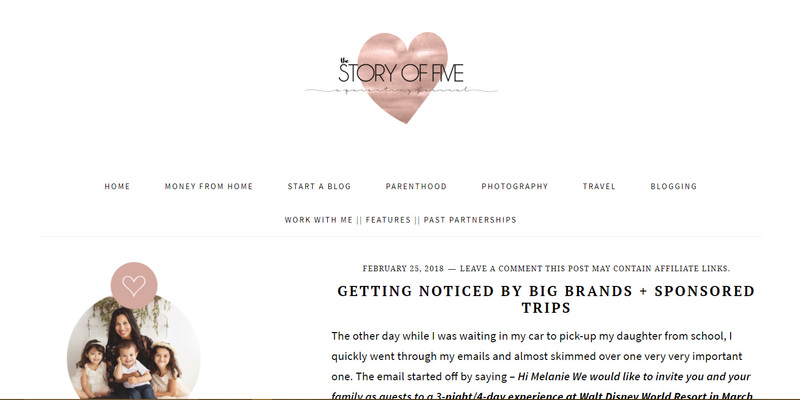 For today, I sprinkled little takeaways throughout the blog, so I hope you caught them. Be sure to subscribe to one or all of the places you can find me. Also, If you have any questions or comments, please list them below, as well as on some of my social media profiles. You can also reach me at plogan721@att.net. Until then, have a great week, and God bless you. Disclaimer: I apology in advance for a long post. This has hit my heart more than you may know, and it involves people who I like watching on television. Deep in the catacombs of your local 4-year college or university, you might find a kid with a silver spoon in their mouth. Now, I do not have a problem with that as long as it does not interfere with my kid’s, or in my personal case, my niece or nephews’, getting into and studying at the same school. After all, they are supposed to be getting a good education and have a halfway decent career ahead of them. It should not matter how a kid gets into a school (legal scholarship, grant, or loan), as long as they enjoy all that the school has to offer (both academic and non-academic), and graduate with at least a 3.0 GPA. Not all high school students are college material. It is nice to see that a rich kid can get into a 4-year college or university of their choice, worked hard to get the “A” s and “B” s, (with a “C” on the side for trying) that they deserve, sitting beside another kid, whose parents worked hard and saved so they can get the same education. Some get scholarships (full-ride or not), some get grants or loans, while others get their education through the work-study programs. It should not matter how a student got in, as long as they apply themselves. Now, I said in my revamping of this blog that I would not talk about trending topics anymore. The reason is that these are my opinions, and they were snarky opinions at best. Unless it really matters, I would like it to stay that way. Today is not one of those topics I can keep my mouth shut about because it has to do with two of my favorite actresses, and the way each of them treated their status in life and in Hollywood. 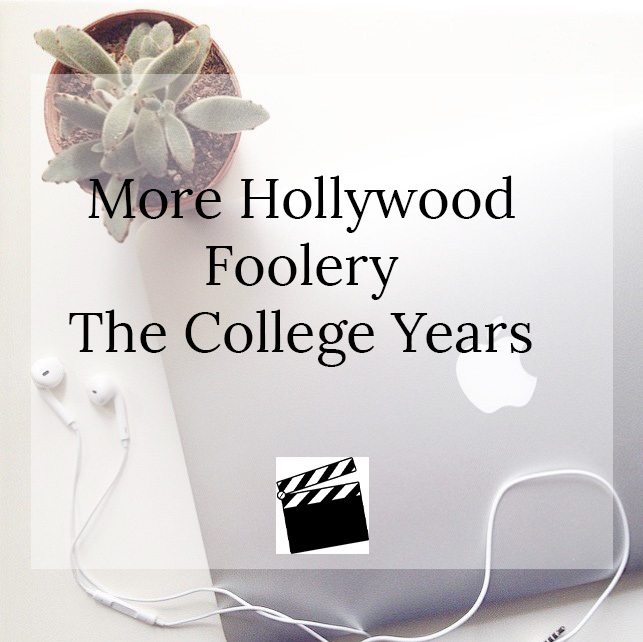 I am talking about Felicity Huffman (Desperate Housewives) and Lori Laughlin (Full House), and the college scandal that rocked the world. I liked both Desperate Housewives and Full House when they were on the air. Both happened to be on ABC, which is owned by Disney. That has nothing to do with the problem. The problem is that both women admitted to this bribery to get their kids in the best colleges, money can buy. When I first heard about it two days ago, I thought it was about something that Felicity said, not what she did. Then a day later, Lori Laughlin was named, along with her husband, and I thought, “What is going on here”? A little backstory is that people have always accused African American college students on the Affirmative Action bill, which, according to Wikipedia states, “Affirmative action in the United States is a set of laws, policies, guidelines and administrative practices "intended to end and correct the effects of a specific form of discrimination" that include government-mandated, government-sanctioned and voluntary private programs. The programs tend to focus on access to education and employment, granting special consideration to historically excluded groups, specifically racial minorities or women. [“ What Huffman and Laughlin are accused of did not have to do with affirmative action, but the fact that they wanted their kids to go to better colleges and universities. They did this by bribing the staff of these schools to let their college-age children in, no matter what their grades were. It is totally different from affirmative action. 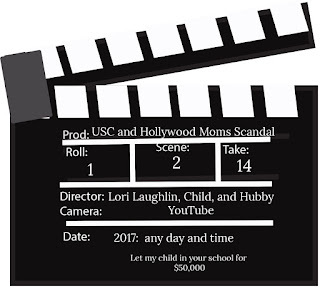 What makes it so sad is that Laughlin’s daughter, Olive, was seen on camera, stating that she is only at USC (University of Southern California) for one thing, and that is to party. My question is, “why didn’t she tell her mom and dad that she did not want to go to college”? I guess she plans on flunking out. College is a serious thing to do. For some families, it is not an option, but mandatory. I did the same thing. I was not ready for college when I was 18. I took what I thought was the easiest major, Drama, which I really wanted to be an actress, and flunked out after the first quarter. I thought I would sleep my way through it, not showing up half the time, and not waking up until it was time for my 4th class of the day. When I did show up, I did not do the homework. It did not hit me until was I home for winter break and my grades arrived. All “F” s. Yikes!! “What did I do to myself”? That January, I found myself at a local community college, with Social Work as my major. I did not like that either. I wasted my parent’s money. I did not get serious until 1993 with a major in marketing and loved every moment of it. My GPA could have been higher because I aced almost every one of my classes, on my own terms, and with my own money. The reason for the low GPA score has to do with how well I did in the other two colleges. Yes, young people, your GPA carries from school to school if you do a transfer. The transfer only helps you with not duplicating classes you already had taken, but it also shows future employers how well you did in school. Now, I hope to continue this fall at the same school I graduated from with a dual-major, A master’s in marketing and communication and a subsequent degree in Entrepreneurship. No one to bribe for my education. My parents are in their 80s and this time it is to help me get a better grip on my business. How can I avoid situations like this? Start creating good grades in Kindergarten. “I know, I know, I hate school, and I am here to form relationships with my friends because friends are cool.” Everyone says that, and nothing beats from being a cool kid in school. You are not in school to see if you can get into the latest party, start the latest fashion trend, or even still see if you can get a scholarship for being on the basketball team. Everyone wants to be loved and admired. Everyone wants to be popular, but I am here to tell you that popular does not get you the $40,000+ a year job and eventually having some major adulting skills. Being popular may get you Miss Popular Teen or some other title, but those are few and far between. You need to be earning grades that will get you into those ivy league schools. “What if I do not want to go to Yale”? You do not have to go to an ivy league school, apply to a state university, community college, anything that have you “ivy league bond”, but, choice the school that you want to apply for. “What if I do not want to go to college”? That is fine too, but, I suspect that your parents want you to do something in your life. One tip that I wish I had done was take a year off. Seriously, take a year off after high school. Why? To decompress and get ready for something greater than high school education. Discover what you like to do and research it. Learn about that thing which drives you. It is called passion. Learn about you during this year. If you want to go to college, earn your books and living expenses by getting a job. Do you think that by taking off a year of academia you are going to sit? Not in this lifetime. Why not make it worth your while to have a job, learn the job, and you will earn money at the same time. There is an added plus to all of this. If the job you have gotten for the year is something you want to pursue later on, employers may help you with your education. At least that was the way it worked when I first got started. I was working in a tech company at the time, CompuServe, and they had all kinds of programs from the company, including life and health insurance, a PC loan so you can purchase a computer, and a program to earn a degree. I wanted to go to the marketing department, and I learned that CompuServe would help me with my education with an education loan. The payback at the time would have been a transfer from customer service, which was where I was working in, to the marketing department. I had to make good grades in order to do it. Unfortunately, I left the company before I could get started, but I was already taking one class in Macroeconomics from the university I would eventually graduate from before I could ask HR (Human Resources) about the program. Yes, you have to keep up with your job while taking classes. After a year of soul searching and you still feel like you are not college material, you will at least have a job to fall back on. Not everyone is cut out for college, but at least you will not waste your parent’s money either. One last tip for students is making sure that you are doing good in academics if you decide to go. It is so easy for parents and other relatives to lose sight of why you are in college in the first place. You are there to learn, and to have fun while you are learning, but college is not just a place to party, join sororities and fraternities, and being part of a sports community, it is also a place where you learn and grow in the field of your choosing, not where your family and friends want you to go to. I followed my friend to my first school. We were not in the same dorm. We went our separate ways after that first quarter. The next time I saw her, I was working at a craft store in 2008. Oh, you did not think I was leaving you out of this little talk, right? First thing, we all want our children to have what we did not have as children. It does not matter if your parent was a millionaire or barely keeping the lights on each month. They wanted what was best for us too. At times, we want to interfere with our children’s lives, and you do not have to be a parent to do so. As an aunt, I often want to take the weight of my siblings and foster their children when they are unable to, or when they ask me to. One of the first things as a parent you must do is accept your child’s strengths and weaknesses. This should have started before he/she enters preschool, and you take note of it until they receive that diploma or GED. There are bumps along the way, and they are going to grow from the cute little kid, who will ask you “why is the sky blue?” to “Mom, I need the keys to the car”. At that time, you know how you want to prepare their next stage in life. One of them should not be, “I am going to make sure this kid of mine gets into Yale no matter what”. If your child is not Yale material, or they want to start off at a local college, then advise on what steps to take. You can ask why, but overall, it is your child’s decision to go in that direction. Do not threaten them and do not bribe administrators for that spot. Yes, you want the best, and yes, it is going to hurt, but they may not be ready to go back to school. Hey, there is always the military. Whatever your child (oops, young adult) decides on doing (including taking a year off to find themselves), the best thing you can do is love them and ask what you can do to help. I hope you understand where I am coming from with this. Should these ladies of television pay for their crimes? Yes, I believe so. You may have a lot of money but cheating in any form is not the way to go, and at the end of the day, you may end up hurting your child more than helping them. They may start thinking that if I am in a jam, mom and dad will come to my rescue. That may be true, but they need to learn the value of doing it for themselves, unless it is an emergency, and getting into a college on a sports scholarship when you are not athletic is not an emergency. It seems that Olive Jade (the name she goes by on YouTube), has made a mess of things before all of this took place. In addition to the video she made on how she felt about school, she mentioned in a YouTube video in 2017 that she guess she will go to school (high school) today to do the school prank (there are many pranks out there, including the one my class did which was to sell the school). She also said that she barely goes to class. Also, Olive’s guidance counselor asked how did she manage to get on the Crew (which is USC’s rowing team) when she has never rowed before. In fact, it was the guidance counselor who made the discovery in the first place or Lori Laughlin and her husband would never have been discovered in the first place. It makes me wonder how many students who have mediocre grades and a bad attitude towards school have parents like hers? All I know is It keeps students who want to go to school, have excellent grades and a healthy activity rap sheet from getting in. It is as much the administrator’s fault as it is the parents. If you have a child who is preparing for the next stage in their promising academic career, think about cheating for your child, and how it affects them before you act. You may have to settle on your child going to a community college, trade school, or not at all. It has been a minute since I wrote about journaling in this blog. 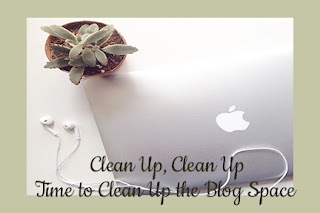 I have been busy prepping this blog for a transformation: I am moving to SiteGround. More on that as I prep for the move. I am making a small announcement, and so far, I like what I see of the hosting site. 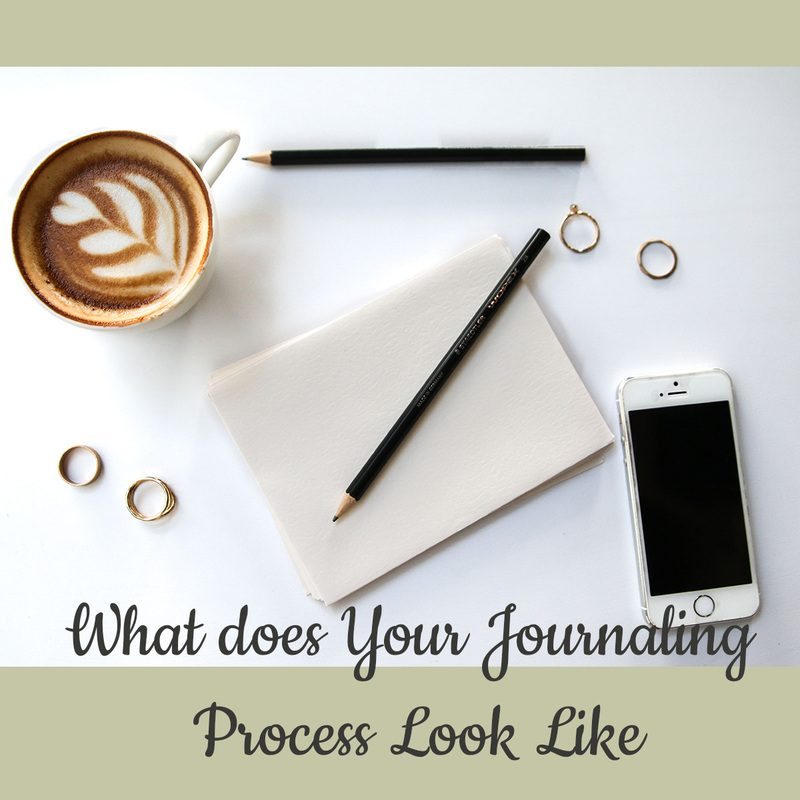 Today is about your journaling process, which is something that not too many people think of. I was going to finally give you your first writing prompt of the year (even though by the time you are reading this it will be March), but it is more important that you think about how you process. There are, in my opinion, two types of processes, one is how you write and one for writing routine. It is the second one that I am talking about today. Next week, I hope to get into the actual process, or what is your style of writing. I will talk about this as we go along on this journey together. Now on with today’s topic. What is your Journaling writing process? First off, there is no right or wrong way to write in your journal. Ok, I stand corrected. The only wrong way is not doing it in the first place. It is better to put something on paper, or in my case, computerize paper. Location: A little corner in your bedroom and a full-blown She-Shed? Yes, your environment has a lot to do with how you write. It is best to be in a completely silent place, no kids, no spouse. No internet, and most defiantly no social media. Notice I did not say, no music. Soft music is required for your choice. Nothing loud or harsh, like head-banging music unless you like thinking in that environment. No trying to tell you what type of music to listen to, but you do want something to quiet your mind as you formulate your words. My location at the moment is one of two places: my bedroom, propped up against my pillow or at my computer desk in my little craft corner. Time Limitations: a quick 5-minute write up or 2-hours? Again, no judging here. If you want to jot down a few notes, go ahead, but for writing prompts, you want to devote at least 15 minutes. Same thing with any story you are trying to develop for book publishing. It also depends on what time of day you decide to write. There is no wrong way to the time: morning, noon, or night. The wrong way is not being consistent with your time routine. I suggest that you do not write when sleepy. I have gone back to look at some of my prompts and wonder what the heck was I thinking when I was writing while sleepy, but my routine lately has been for both my personal journal prompts, as well as blog posts is after midnight when everyone is asleep. That way, I get no distractions, and all my work is done for the home and my business. Libations: a little wine with your prompts or a full course meal? Yes, it is ok to eat and drink during this time. It also depends on what you like. In the mornings, I love me a good cup of coffee, but if I write around dinner time, I eat my meal. Sometimes, I have a plain glass of water. Since the for mentioned late night writing schedule, I have been known to have a soothing cup of tea with my writings, lol. Seat: Comfy chair or in bed. Your seat of choice depends on your location and the setting up of your location. In the case of having a She Shed (Man Cave for women), you would pick your favorite things to have in there, including your seating arrangements. I have seen she sheds where there are couches (Oops, the correct term is sofa) for some guests, a lounge, or a big comfy chair. Some people have a desk from their childhood (repurposed, of course). Whatever makes you comfortable when you write. One thing is for sure, I will say this in bold letters: LADIES, YOU ARE ALLOWED TO HAVE A SHE SHED, NO MATTER WHEN THE HUBS AND CHILD SAY! As a person who decided only 10 years ago to write for a living, I have been journaling longer than that. I have officially been journaling off and on for 20 years. I have said many times how I got started, which was through a friend of mine, who passed in 2002. I have many routines when it comes to writing, but the one that stands out is the one I am doing now. I write at night when everyone has gone to bed. This is my routine. I write in my journal mainly to clear my head and to process the events of the day. At least that is the way it was when I first got started. I still do that for the most part. It does not matter if I am mad at someone, upset with myself, contemplating something, or to write just to write, it is the same way: I wait until the end of the day to write in my journal. It is my way of getting out anger issues, find inspiration from it, and for the first time in a long time, try to find a lesson in the problem. I want to devote a time where I do not carry my anger to bed with me, maybe not to solve that situation at that time, but to go to bed, empty, ready to tackle what lies ahead, good, bad, or indifferent. If the writing does not help, and sometimes it does not, I have extra assurance in I go to God in prayer for that situation. Now, everything is not always a problem. It might be something that I want to do, and the journaling helps me brainstorm it. I write out what I want to do, write about the steps that I might have to take, how much money I may need to save in order to achieve it, and so forth. Like for instance, I have been planning this trip to Disney World for the longest. I type out what an ideal day at the Magic Kingdom, Animal Kingdom, Hollywood Studios, and Epcot would be with my family. Also, where we would stay, what we would eat, and how we would get around. Other things I have journaled about in the past were: buying a new house, a new car, and how my business would run (the latter, I now have a dedicated business journal for that). As for the actual routine, like I said, I mostly journal at night. I have some coffee or water. Sometimes I eat a little snack. Not much, since I am heading to bed after I write. Sometimes, I will try to write in it with my mini Ipad, but I find that sometimes the file will not sync with my desktop so I can note some changes (made by me), and I will not lose my place. I now have a habit of re-reading my entries for clarification, and to keep me from doing the “what the heck was I typing” face before I go to bed. If you can tell, I am sort of a “Grammar police” type of writer. I may not catch everything, but if I re-read my post before posting them to my blogs, I am going to re-read my journal entries. After that, I save the file entry, which is automatically saved thanks to the new feature Microsoft programmed into the office programs (best feature ever), in case I forget. I turn out all the lights, say goodnight to Gizmo, my niece-cat, and go upstairs. As for my writing space. No, She Shed. I want one, but this condo does not allow me to have one. No space for it, when you have 3 people and a cat living here. I am lucky I have a corner for both my journaling and crafting space. It is made for a dining room, but my table is in the corner of a “bowling alley” shaped living room. This is also where I do other business things, such as design graphic design products, such as business cards, letterheads, and invitations; scrapbook and card products, and my newest obsession, planner products (stickers and printables). I look at social media and make and watch YouTube videos in this corner. Yes, one day I will have a She Shed. So now it is your turn. If you are looking to answer this question in your own journal, Do it. It is not required that you send me a copy, but if you want to, send it plogan721@att.net. (No pressure). If you have your own prompt for this week, that is OK too, as long as you write something, anything, even if it is a simple “Hello World, it’s me”. You have taken a baby step. Some prompts I will come up with like this one. Others will be from the internet or this book I got from Target yesterday called 300 Writing Prompts, but it is also available at Amazon if you want to follow along. If there is a writing prompt or a question you have, please put them in the comments below. In the meantime, thanks for being a part of today’s prompt, and I will talk to you later. No, I have lost my mind, nor this is not the new adventures of The Wonder Pets (parents, you know who I am talking about). This is an update on how I am progressing into the world of organizing my Social Media and blogs. This is also a Motivational Monday, which may turn into a Tip Tuesday depending on when I upload this post. Side note: Ok, this aunt realized that “Clean up, clean up” did not come from The Wonder Pets, it came from my childhood memory of my preschool teacher urging us to clean up our toys, sorry. Well, I am cleaning up my toys in a sense. I finally got the go-ahead to switch my blogs and business handmade website to SiteGround. I will explain to you in a later post on how to get your own website with Siteground at a later time. So far, I like what I see, and around March 31, you will see a brand new My Ambiance Life, At Home with Tricia's Baskets, and P. Lynne Designs blog and website in much cleaner light. They are going to be lighter (white background on all of them). I love all the websites and blogs I visit with clean, uncluttered backgrounds, and it seems to be the trend that is continuing well into 2019 and 2020.
there are a lot of seniors who are turning older, and their eyesight is not what they used to be. With that comes background colors with little to no color in them. In other words, a white background with little to no color in it. In your foreground, your fonts need to represent manuscript writing. Save the fancy stuff for invitations, cards, and other things of that nature. I am going, to be honest, to tell you that it is harder to read script writing than manuscript writing. Ask any 7-year-old. In fact, they do not teach cursive writing in schools now. So, this blog is the first to get an upgrade to Siteground. I have not decided which of my domain names I am going to choose for this site. It might be the one I registered or a subdomain. I am having a hard time with my plynnedesigns.com domain name. I do not know if Google is still banning it to show up or what. Not to get into why I am changing it to plynndesigns, but Google thought the old one was phishing. Someone back in September had hacked into my account website and killed the whole mood for me using that domain name again after I removed the affected file. I have been fighting with Google for a whole month to prove that I am the owner of the domain name and to let me use it. I gave up last week, and now I am using the new one for the website and blog. When creating your website, either on SiteGround, GoDaddy, Wix, Weebly, or some other website, make sure you are covered. This includes being able to create as many websites on your account with a plan you can afford. I use the “Growing Up” plan from Siteground. At the time of this writing (February 25, 2019), the Growing up plan is $5.95 a month. Also, make sure that your domain name is available. I was lucky that the new name (plynndesigns) was available. The current domain name for it plynnedesigns was available when I created that domain name as well when I got it in 2016. The name I wanted as well was PLDesigns, but it would cost me a pretty penny ($4,800) to have, which is another thing. I looked it up, and anything with the word “design” in it is considered high-end, but I am confused because both domain names also have the word design in them, but they cost me $2.99. Make sure you can afford the domain name price. All 4 (those two, plus PLDMDN and patriciallogan were $2.99 each). You can renew them once a year, but if you know you will have them for a long time and can afford it, renew at some point for 10 years. So, far, I have only been able to renew the domain names annually. Make sure you protect your websites and blogs. I protect my websites for $19.95 a month through Siteground. I learned my lesson from Hostgator, who I no longer recommend as a hosting site. I also do not recommend Blogger, unless your website and blogs are very simple. More on Blogger at a later time. SSL certificates are FREE. Unless you are doing something complicated, Use the site’s free SSL certificates. What is an SSL and why do you need it? Think of it as an added layer to id your site or blog. In other words, it authenticates it. Google is cracking down on sites who do not have the https:// on it (most sites still use HTTP:// which is supposed to be not secure). There are more advance SSL certificates, but they cost more and are not really needed for blogs. As I always say, plan out your website or blog. Know what topics you want to talk about, the categories you have those topics under, the color scheme, theme, and do not forget to name your site. You can read about how I came up with my names in another series I am developing about blogging. One thing I do want to say about these tips is do not worry about it if blogging and creating a website is not something that you want to do. You can hire someone to do it, but it will cost you more money, instead, check out this next item, challenge yourself to something greater. Children throwing flour all over the house or getting into mommy’s cosmetics or dad’s shaving cream. All of these sound good. I mean, yes, people who hack on the computer to get into someone’s bank account (It happened to me this past weekend) could have been bored or need a job. Same with the children, but the police? Humm, maybe some of you have been pushing the snooze button way too many times. I can always blame the full moon theory, especially on hackers and children, or as my grandmother used to say, “the Devil got to them”. Either way, the true culprit is B.O.R.E.D.O.M. So, how can I combat Boredom? Boredom does not mean that you are sitting around the house doing nothing. 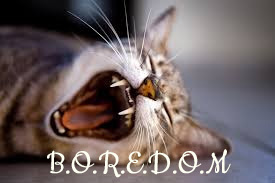 Boredom means you are sitting around doing nothing in your business, your home, as a parent, and even in your church. Boredom can even be in your food choices, your clothing choices, even your vacation choices. So, how to get rid of it? Simple, challenge yourself. For business and work: look at your current skills. See what you can improve on in terms of weaknesses. If you cannot see it, ask a supervisor or a trusted co-worker a critique on your skills. This should be part of your talk with your supervisor during your annual review. If you own a business, as yourself what is the one thing you wish your company could do for a customer or client. At home-organizing. what is the one area in the home that could use a little sprucing up within your budget? This is not the time to do a major renovation to this area. If this is what you are aiming for, it is fine, but take baby steps. Self-improvement: everyone can use a little self-improvement every now and then, but, how challenging is it? One thing is once you stop learning, you are dead. If you can afford it, go back to school or take a class online on a site like Lydia.com. if you hate classes or cannot afford to go back, read a book or if there is something you want to do, search for it on Google or Bing or watch a skill on YouTube. For an example, when I was getting my bachelor’s degree in Marketing from the school I graduated from in 2003, I was not interested in graphic design or writing at all. Now, I find myself on an impasse of sorts. 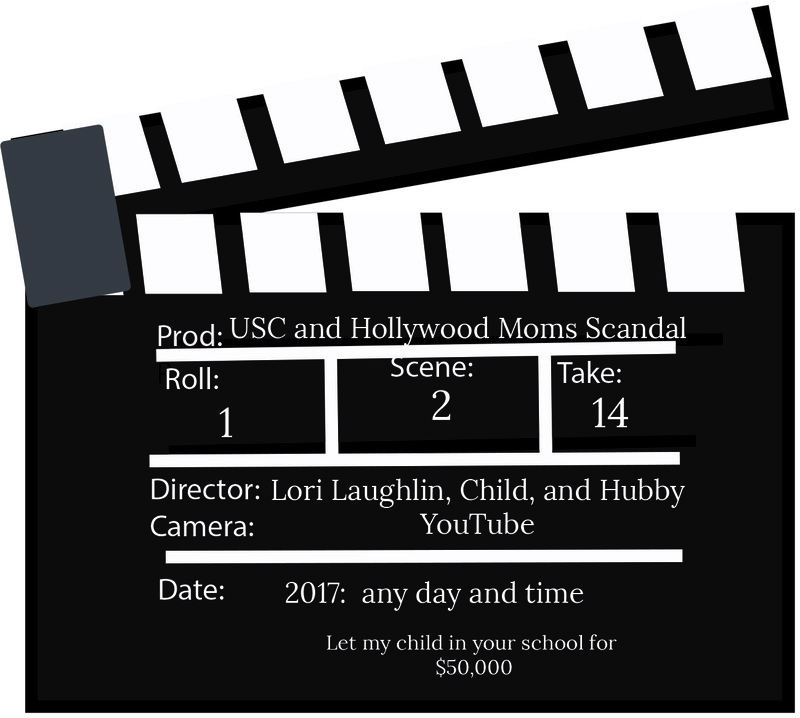 When I started my blog, MDN Creates (now P. Lynne Designs), I knew I needed photos, but I did not have photos nor the skills to edit them. I am old school. My parents taught me that you take pictures on 35mm film, take them to the store to get them sent away, get them back in a few weeks, and display them in a photo album. The camera on my mobile phone was new and foreign to me. I taught myself to move the photos from the phone to my computer, then I started a trial of Photoshop, and fell in love with the aspects of it. I have taken myself as far as I can go on my own. Now I am hoping to gain more knowledge from an instructor at the school I graduated from. The same with writing. I have taken myself as far as I could go, and I hope to get a degree in entrepreneurship, which is a subsequent degree. One of my personal challenges is to create a new craftroom. I have a budget and a plan. My takeaway for this challenge is already listed. So, if you feel bored, challenge yourself and do not let fear get in your way. Life is a challenge by itself. You can do this.